To view our Class & Event Calendar, please click here. Welcome to Me and My Dog . 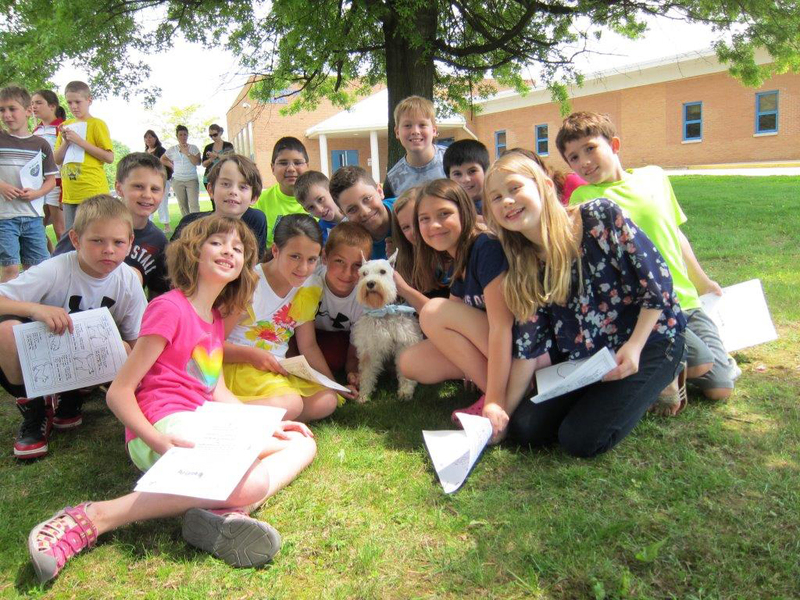 A fun program for kids about Dogs that we offer at the Training Center, Schools, Community Events, and now to meet the demand of our program we are excited to to announce we are ONLINE. Learn with the Dogs of Ohkom Farms. If you have a dog, if you don’t have a dog, if you want a dog, this program is for you! Learn the positive way of training your own dog. Buttercup Founder of Me and My Dog. 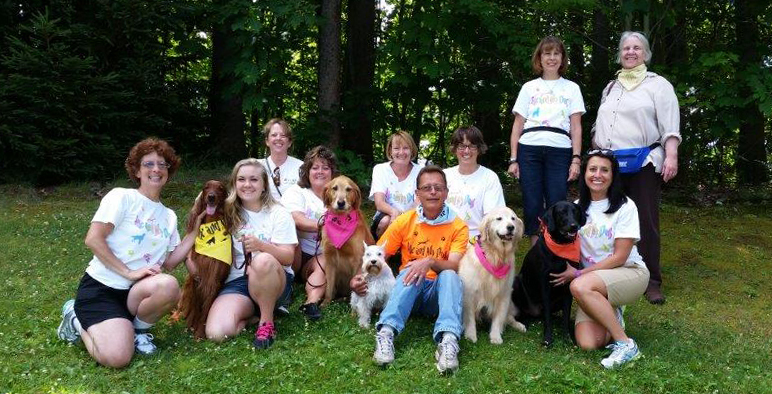 Our Me and My Dog program started in 2009 with Buttercup, an Irish Setter, Lucy, a Clumber Spaniel, and Dazzle, a Golden Retriever. 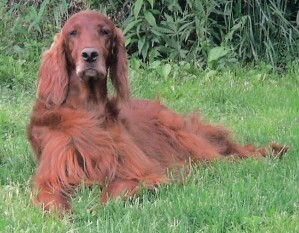 Buttercup, my Irish Setter, was dedicated to teaching children and dogs alike her kindness and passion for enjoying life. 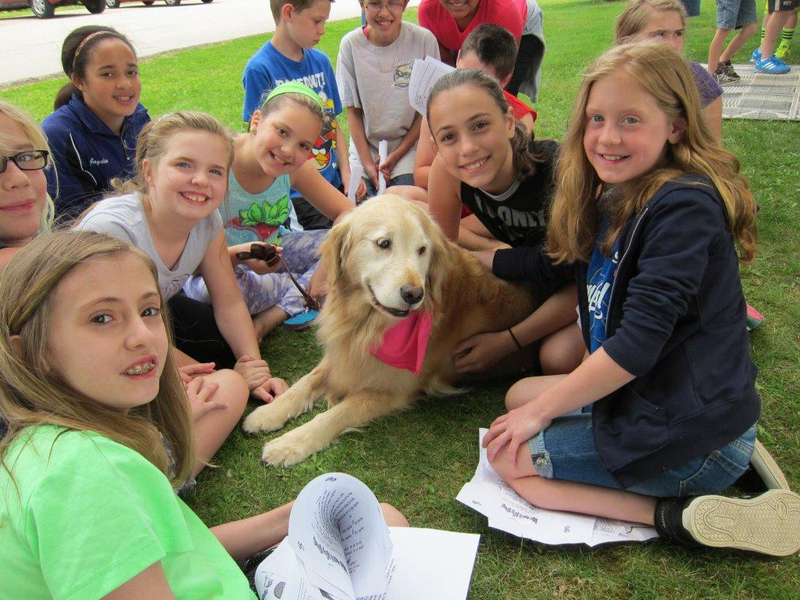 The Me and My Dog Program addresses proper care, exercise, activity, social skills, play, training and down time. Kids will also be given a study period and skills sheets. Question and answer time. Programs are designed for kids 5 years old and up. Under 8 must have a parent or guardian present. Do not bring a dog. Dogs are supplied! 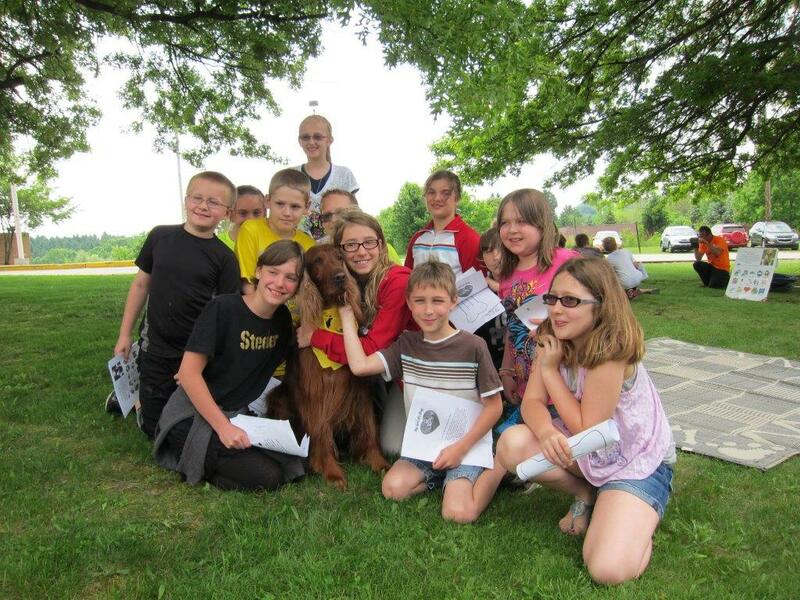 All dogs used in the program are trained Canine Good Citizens. After many years of dedication here with us, Lucy, the Clumber Spaniel moved to North Carolina. Lucy and her owner, Pat McInay where dedicated to share their experience and knowledge and the teachings of the Me and My Dog Program to many schools in her new home town. We thank Lucy and Pat for the 13 years of their service. Online Program: This is a brand new program offered by Ohkom Farms! As you go through each level, you’ll find fun games to play, worksheets to fill out, and videos that will teach you how to train your dog. After you’re done watching the videos, just take a short video showing us how well you and your dog can perform some of the tricks we’ve shown you, load it to Youtube, and send us the video link. Once we receive and review your video meet the criteria, you will receive your Level Certificate AND you’ll be put up on our Certifications page (with your parents’ or guardians’ permission, of course)! This is a inexpensive way to learn so much about how to work successfully with your pup on your own schedule. We’ll be adding new levels over the next few weeks. Please click here to join the Me and My Dog Online Program! Our current dog and handler teams love to present the program around the area. You may have seen us at Twin Lakes, Greensburg Ice Cream Bash, Maxwell Elementary School , just to name a few. We hold programs at our center for Girl Scout troops, Brownies, Boy Scout troops and more. Check out some photos taken at our events.